CFP for the 2nd annual conference is up! Big news! The CFP for the 2nd annual conference is up and ready for submissions (due July 15th)! Already the excellent philosopher Fred Evans (Duquesne University) and the amazing podcast, The Partially Examined Life (http://www.partiallyexaminedlife.com/) have signed up to join us! 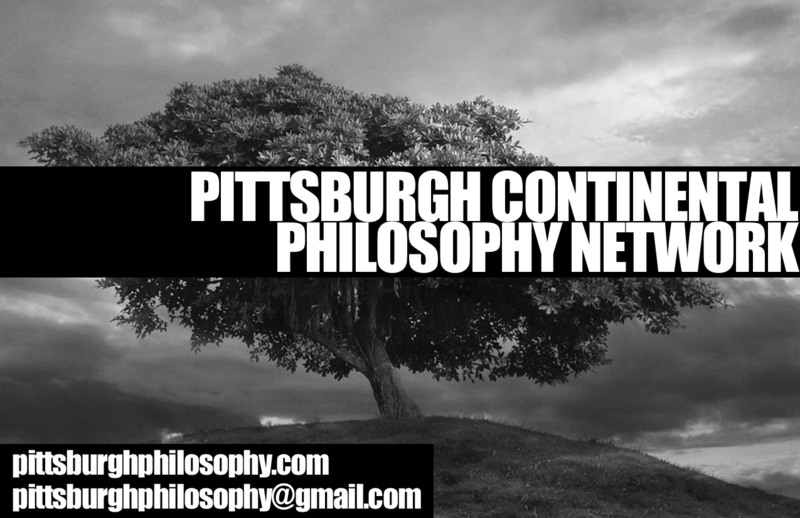 The Pittsburgh Continental Philosophy Network is pleased to announce the 2nd Annual Pittsburgh Continental Philosophy Conference, “(un)commons: theory and public space.” Devoted to a critical examination of the public sphere, the conference is seeking papers and artworks that deal with philosophy, criticism, and analysis of public space, as well as those which deal with philosophy, criticism, and analysis in public space. Towards the end of interdisciplinary collaboration, this conference invites contributions from a range of disciplines including philosophy, architecture, geography, psychology, religious studies, communication, rhetoric, and sociology, among others. Additionally, we strongly encourage artists and performers whose work deals with the notion of the “public” or the “common” to submit samples or descriptions of works in any medium—visual, musical, performance, installation, etc. We will accept paper and panel proposals on any topic relevant to continental philosophy, and particularly encourage those that seek to cross the bounds between multiple disciplines. Additionally, since the conference will be joined by a live recording of an episode of “The Partially Examined Life” (http://www.partiallyexaminedlife.com/), we strongly encourage those whose work deals with the “new media”—including podcasts, blogs, youtube, etc.—to join us. Reblogged this on The Space Beyond Being.